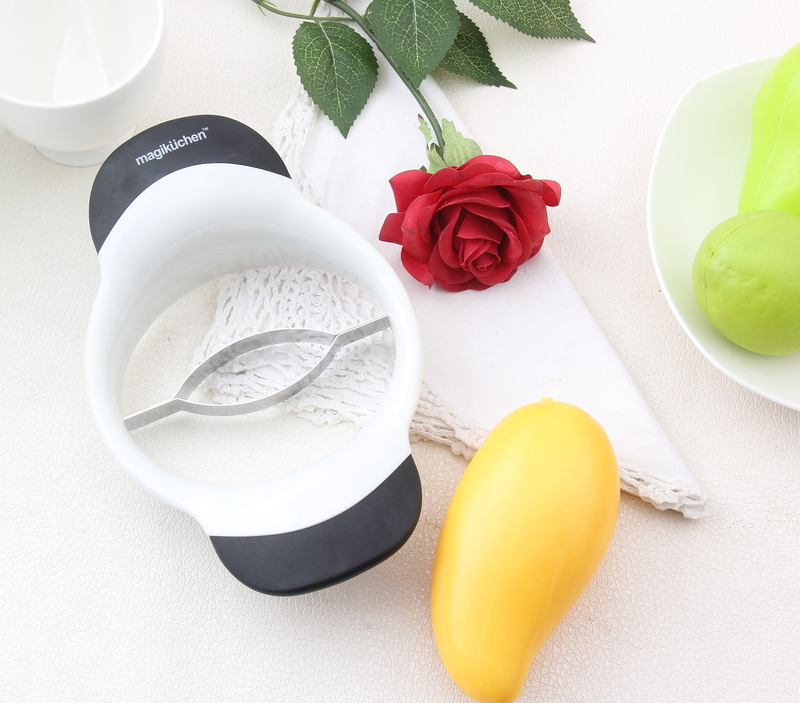 I just got this great mango cutter from MagiKuchen. This is a really cool kitchen tool. It’s just like those apple cutters. You simple place this on the mango and press down. It will remove the pit and cut the mango in halves. The cutter is made of steel and very durable. Cuts very well and smoothly. The frame and handles are plastic. Wide base for easy use, you can easily grip it and press down. I use this a lot, my kiddos love fruit. So when we get mangos thes makes a great easy way to cut and remove the pit. Works great. ✔YOUR 5 A DAY: Perfect MUST-HAVE tool for all fruit fanatics. Easily remove mango seeds, quickly cuts fruit in half. Can slice even through the ripest mangoes. Less waste, More nutrients. ✔ FOOD SAFE: Premium High Quality kitchen tool built to last! BPA free, FDA approved made from pure 100% Food Grade stainless steel. Healthy and safe essential for every fruit lover and health aficionados. ✔ FESTIVE SALE 2015: Checkout the Amazing Deals FOR A LIMITED PERIOD. EXPIRING SOON..Scroll down to “Special Offers and Product Promotions”. 100% MONEY BACK GUARANTEE: If, For Whatever Reason, You Don’t Absolutely Love Your MagiKuchen’s Mesh Strainer, Just Return It, And We’ll Refund Every Penny. Be our VALUED customer forever. Be it CHRISTMAS or NEW YEAR, it’s a Perfect Gift for Family and Friends.